We know many of you are enjoying getting ready for the ski/snowboarding season: booking hotels, digging out snow socks, and cramming in practice sessions on the dry-slopes. But a broken or faulty piece of kit can put a whole holiday on hold. We're all about saving and improving the stuff you love, and if that stuff happens to be hundreds of pounds worth of ski/snowboarding gear, then it's kind of a no-brainer. So, with that in mind, we've compiled 7 ways in which you can adapt and repair your gear. 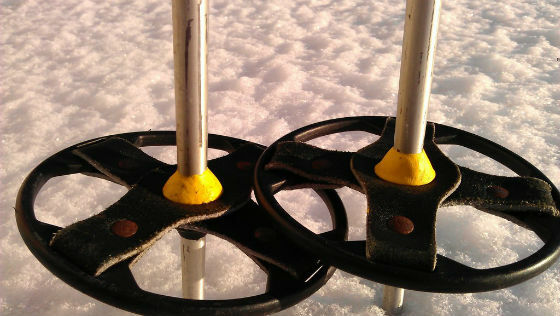 sugru-er Erling fixed her broken ski poles when they broke in the middle of her Easter holiday. Plus she and made them stand out on the slopes with some well placed yellow sugru. Hands and feet are two things you definitely want to keep warm, dry and protected out on the slopes. The demise of your gloves or your favourite pair of boots can be heartbreaking, as well as pricey and a real hassle to find when you're away. 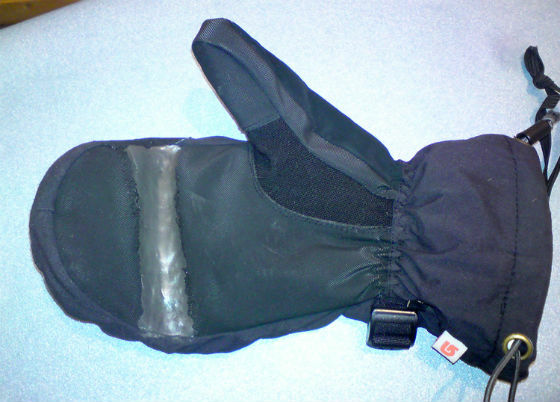 Prevent this tragedy by patching up any leaks and holes early with sugru. 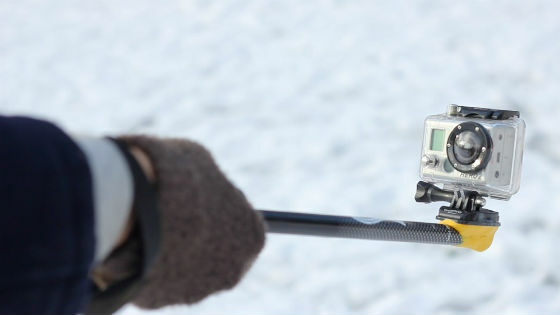 Our designer Ben repurposed his old broken ski pole by mounting his GoPro. Here he is "doing his thing" in Canada (show-off!). 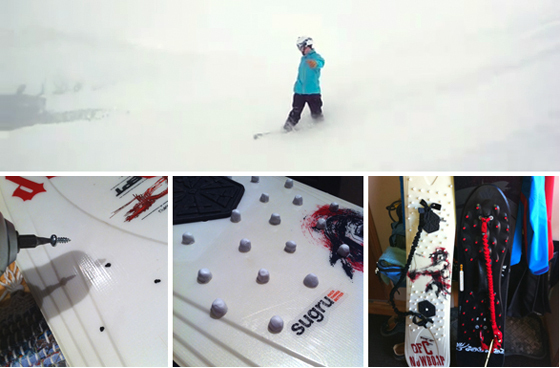 Take a look at the other things sugru users mounted their GoPros too, and get inspired for your new career as director of your own snowboarding flick. 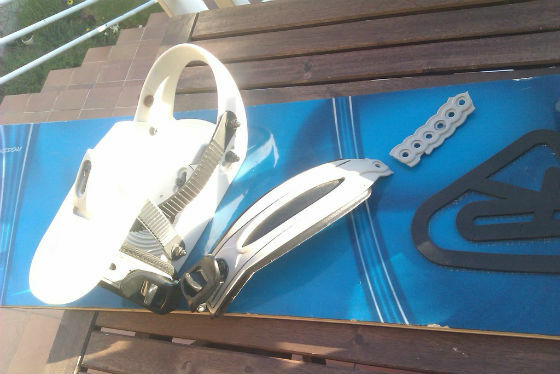 Like anything, ski and snowboarding gear is full of fiddly parts that are a pain when they break, as user TILLIZAS discovered when his snowboard fixation snapped. A replacement of the whole setting was ridiculously expensive, and glue wouldn't do it. 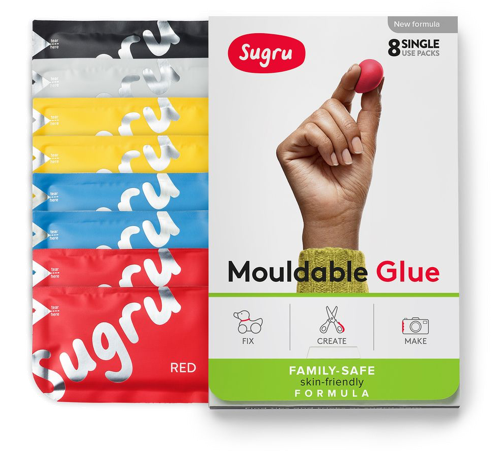 So he turned to sugru - et voila! A fix that can save a small fortune as well as a holiday. 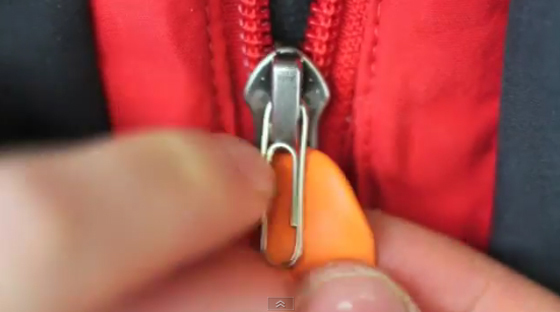 A super simple-but-handy way to replace a zip pull, which can save a ton of fumbling around when you're hot and just want that ski jacket off already in time for après ski. Noboarding, we are informed by user Scott, is "a twist on snowboarding where you're not strapped in, you need to grip with your feet like surfing". Normally it requires a special $200 board with grippy nodules, but Scott made his own with some sugru and a broken snowboard. This would also be great for those impromptu bouts of heavy snow we Londoners get every couple of years (remember 2011?). Any old deck and a few sugru nodules and you're a pro! (Kind of). Accidents do happen... and when they do there's nothing for it but to drown your sorrows in the resort bar. 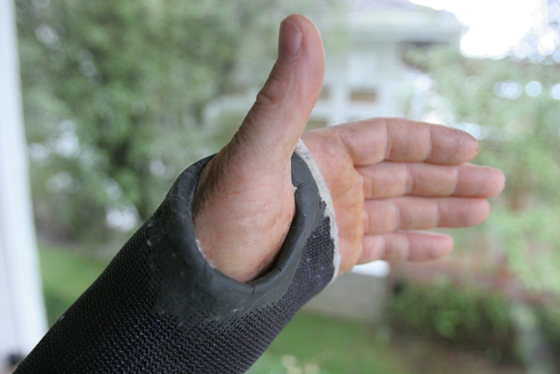 But you might as well make sure you can sip your pint comfortably... Bruce from New Zealand stopped the sharp edges of his cast rubbing with some sugru edging.